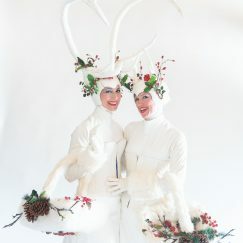 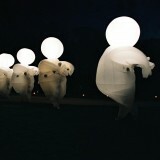 The Christmas white deers are beautiful high quality costumed stilt walkabout characters. 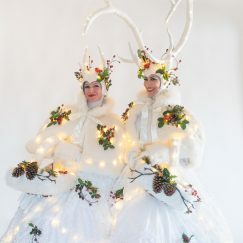 They are available in 2 styles, Victorian style with large lace hooped skirts or a more modern looking slim lined PVC version. 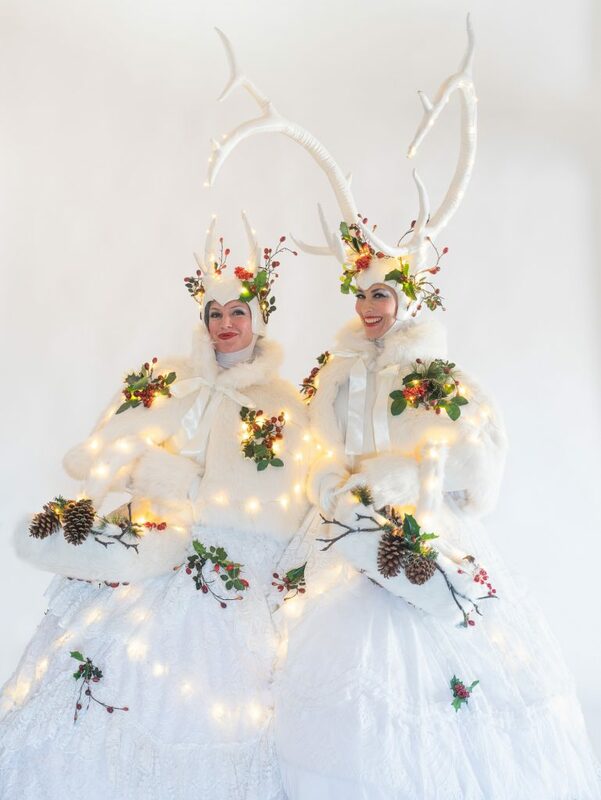 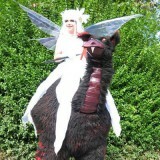 The costumes are adorned with Woodland winter foliage such as holly and pretty red berries. 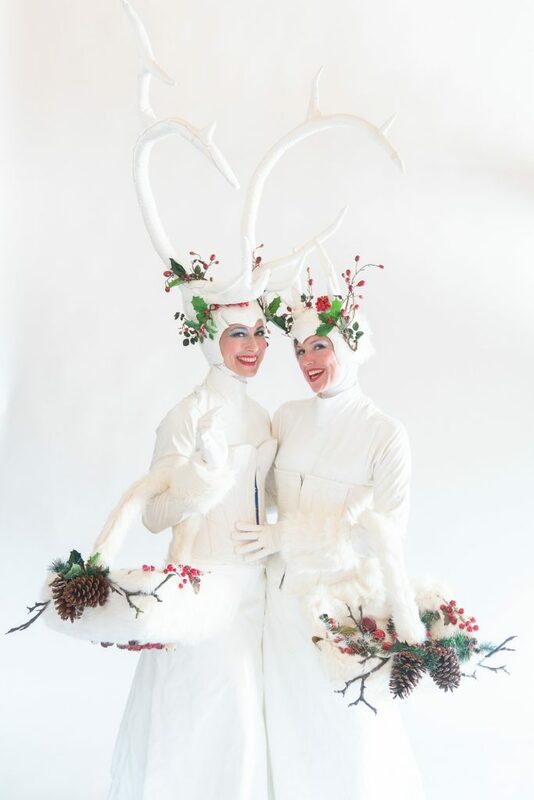 The Christmas white deers add fun, grace and magic to any Christmas event.